What to say about U2? They are a band that has had it all. Over and over. They still make really, really great music. 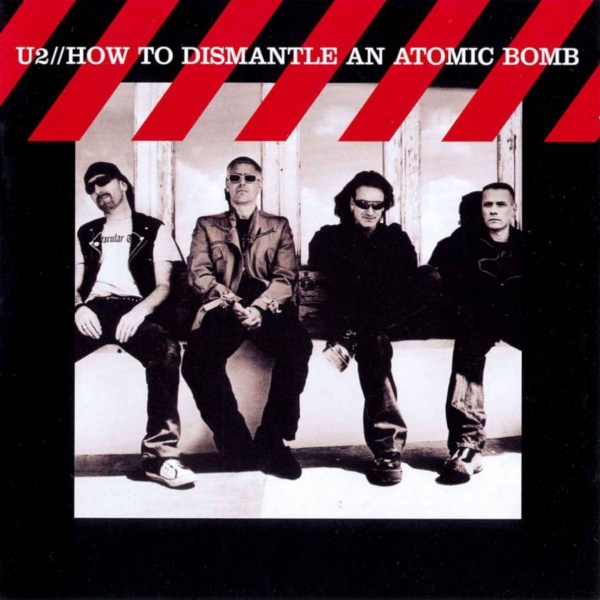 Carla turned me onto “How to Dismantle an Atomic Bomb,” (2004) a year or so after it was released. One of her friends gave her a copy, and told her she’d enjoy it because it’s a “spiritual” album. Turned out I was the one who really got hooked on the record. I play it all the time, year after year. It’s “soul music;” music that reveals, and feeds, the soul. Bono called it U2’s “rock” record, and it does rock; Edge’s guitars are up-front and dimensional, and Bono does some fine singing. “One Step Closer” gets me every time. But the whole album is inspiring. Love this band. Bono is a live wire, eyes wide open, always questioning. And Edge’s guitar is a force-field of exhilarating energy. The bass/drum foundation laid down by Adam & Larry is just sonic bliss.